Choosing color for selling or dwelling can be a complex challenge full of roadblocks and pitfalls. AND the secrets of creating color flow from one room to the next. Translate your clients’ or your own personal style into a cohesive, welcoming space. 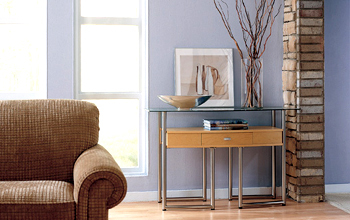 Sharpen your design and color sensibility for the other pieces that will live in the space. So, if you have a decorating concept in your head and are having a hard time making it happen; if you really care about your home and the way it feels to you and your family; if you want to give your client your best by learning this streamlined color system; then what you learn in this webinar is not just a gut-check – it’s a scientifically based system that boosts your color confidence so you get it right the first time and every time. 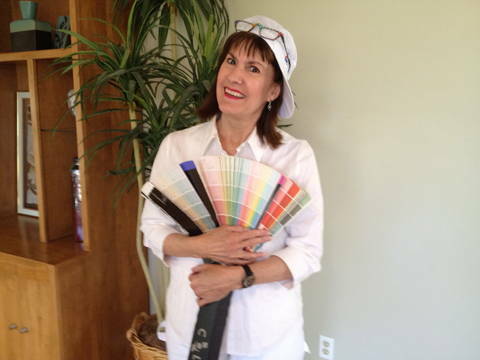 Choose to become a Certified Color Consultant …or not. Certification includes passing a test with a minimum of a 75% score. Basic color theory and terminology – even though you may think you know a lot about color there is information in this lesson that will be new to you! Understanding the affects of natural and artificial light has on your color decisions. The 5-Step dummy-proof system that teaches you how to choose color faster and with less frustration. How to use other color tools that confirm your color choices and advice. What about the kid’s rooms? Everything you wanted to know about paint but were afraid to ask (or you really didn’t want to know but you should know about anyway). The best painting tools and why I like using them. If you aren’t painting yourself, how to find a qualified painting contractor. Color consultation tools and the “how” and “why” to use them. The Business Side of Your color Consultation6. Attend two 2 hr webinars, submit coursework, and a completed assignment workbook in addition to achieving 75% or higher on final exam. FEE: Certification for CSP® is $199 and Non CSP® $229 and includes both webinars, workbook with forms and pricing, certification, marking of coursework, exam and certificate. NON Credit and Non Certification: General Interest Only. NO certification, NO workbook or Certificate of Attendance or CE credits. Additional recommended color tools are optional and are sold separately for both options. Jan Saunders Maresh is the Author of 17 books. Her most recent titles are Home Staging for Dummies (co-authored by Christine Rae) and Sewing for Dummies, 1st, 2nd, and 3rd Editions (Wiley Publishing). As a life-long Do-It-Yourselfer, avid Writer, Speaker, Mompreneur, Jan has done it all. From sewing for herself, her home and her family then writing and teaching others her favorite techniques and best practices; to decorating, redesigning rooms, and staging homes for sale. While running a successful consulting and home staging business, she trained further in everything color, design, and sustainability. As a Color Specialist in two different systems and a Trainer for the CSP International™ Business Training Academy, Maresh is accredited to train real estate professionals and building contractors Sustainable Remodeling and Building Practices as they earn their Certified Eco-Professional™ designation. Jan also has a unique talent is combining her personal hands-on experiences with her step-by-step approach in teaching average home owners how to achieve extraordinary DIY results. “I’ve made all the mistakes…so you don’t have to,” she affirms. For those that are all thumbs or when the project gets a little out of hand, Jan’s on-line training, webinars, professional advice, and featured experts provide the best local resources at www.lifes-hub.com. “Just to let you know I thoroughly enjoyed the sessions. Even though I missed one of the live classes, I learned so much listening to the recorded version. I like the timely manner in which you presented the information and even though I was not in a room with you, it felt like I was. You made sure everyone understood what you were saying. I am really excited to build on the knowledge you have given me. I look forward to meeting you sometime and also to having more sessions with you. It was a pleasure getting to know you. Have a great evening. “Well I have to tell you this has been one of the most wonderful educational endeavors I have ever undertaken. Again, this was really fabulous Jan and the time just flew. But it was such “value added” I didn’t notice! Thanks so much. I’m sort of looking forward to the exam…” ~ Just fabulous!